You are here: Home Forum Home Mercury Outpost 66' MERC 650 4cyl ?? 66' MERC 650 4cyl ?? TOPIC:	66' MERC 650 4cyl ?? 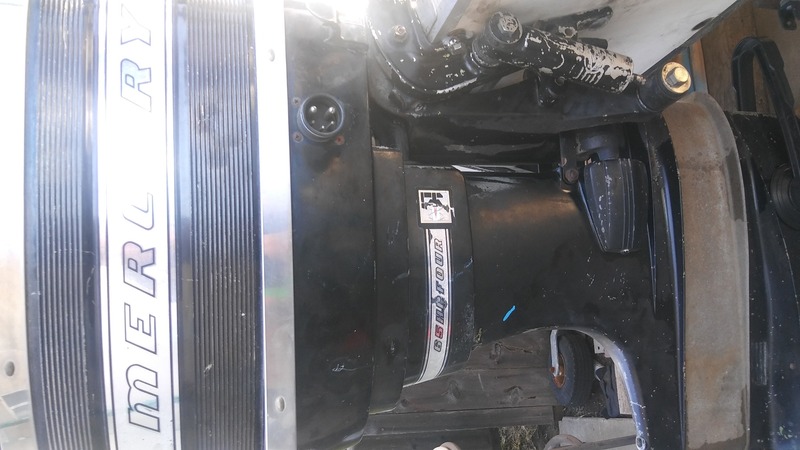 Can anyone tell me which exterior wiring harness and controls go with this motor? S# 1897826. DeltaH2o9 wrote: Can anyone tell me which exterior wiring harness and controls go with this motor? S# 1897826. 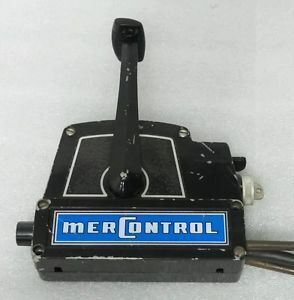 Standard harness that came with Jillions of Mercs '65 and up. The most common ones you'd see out there would be with a 4-cyl motor, but later-model Sixes (around '68-on) with external harness and CDI distributor use the same one. White or black, rectangular, single-lever control box. Thanks ed! So I'm guessing the harness that came with this motor part# 29645-15 won't work? 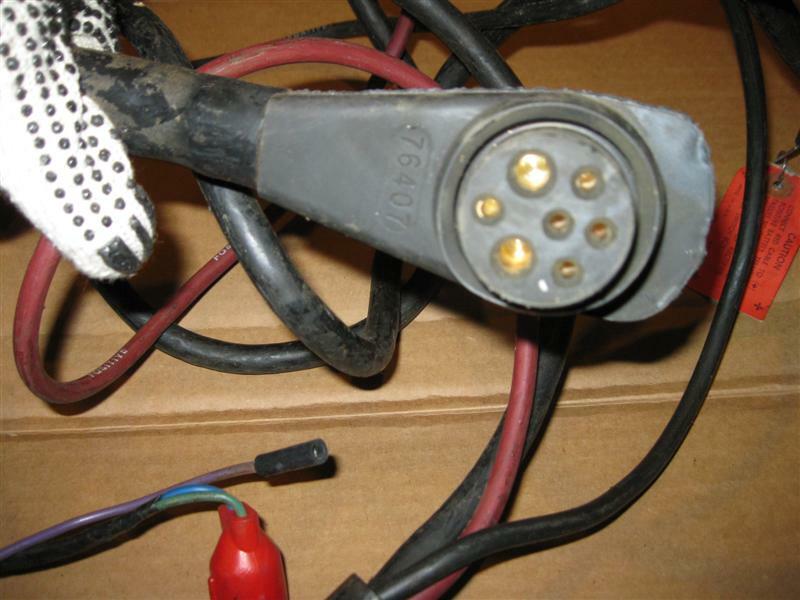 I found a pic of a 29645 harness and it looks to me the correct harness. The 76407 harness has more pins, but that doesn't mean that the extra pins are necessary to run your motor. If your harness plugs in, it'll work. Note that the later harnesses with the extra pins, are to feed +12V to the switchbox. Your 650 uses a magneto and the "mag kill" contacts are dedicated to other pins. 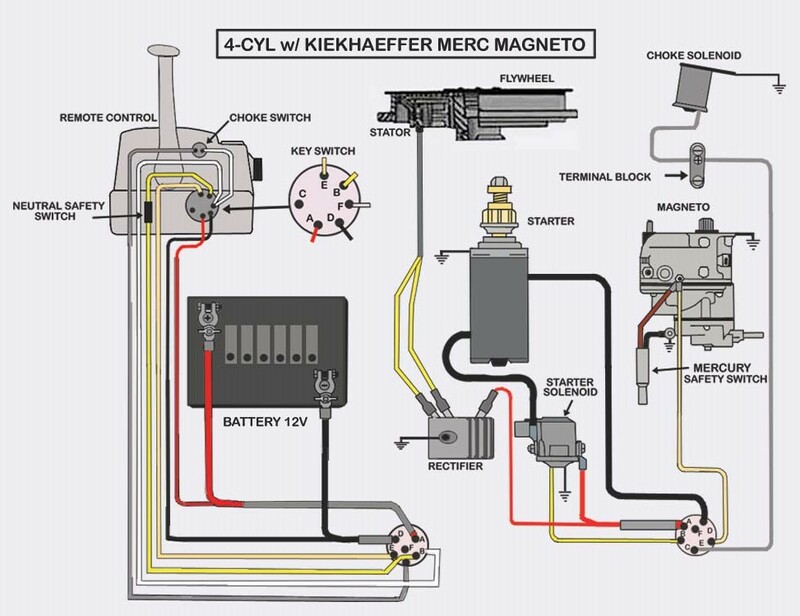 See attached pic of a typical 4-cyl magneto wiring diagram. Note that the 76407 harness would run either a mag or CDI-equipped motor. Thanks again! I'll just have to rewire the 29645 and see if she fires up!